FINAL FORMS: ALL PARENTS AND ATHLETES MUST BE REGISTERED FOR FINAL FORMS. IF YOU HAVE NOT COMPLETED THE REGISTRATION AND COMPLETED THE FORMS AND ELECTRONIC SIGNATURES, ATHLETES WILL BE FORCED TO SIT OUT OF PRACTICES. Is the home for All Rossville Middle/High School Athletic and School Activities. Follow the attached link, register and choose which calendars you want to follow. This will keep you UP TO DATE on all Athletic and School Activity changes throughout the year. You can also download the app on your phone or tablet. Eventlink will send notifications through text and email if and when changes occur. 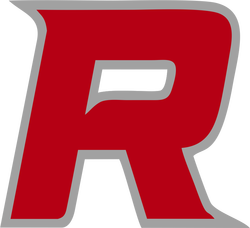 Rossville Athletics will embody the values of Rossville Consolidated Schools and the Rossville Community. We will develop a community based culture of ownership, communication, support, and pride in Rossville Athletics. Rossville Athletics will be an example of partnerships, positive relationships, integrity, and excellence in our community. The Rossville Athletic department will be a “relationship-centered” environment. Our goal will be to work with coaches to eliminate roadblocks, distractions, and concerns within each program, so that they will have the greatest opportunity to create positive relationships, challenge student-athletes, and foster a culture of excellence within the entire department. The Rossville Athletic Department will assist the school in being recognized as a model where academics and athletics drive the success of the school and local community. We want to develop a culture of excellence at Rossville and help build our student-athletes into outstanding members if the community. We want our programs to build pride within their organizations and develop stakeholders who are proud of what they have built for future generations of Hornets. The athletic department will strive for excellence as it develops the leadership capabilities of our student-athletes. We will expose our student-athletes to opportunities for community service, leadership positions, and becoming stakeholders in their education and athletic experience, building the leaders for the next generation. Provide growth opportunities for students who seek a competitive, interscholastic athletic experience. Ensure the physical, emotional, and social welfare of each student-athlete. Provide the opportunity for student-athletes to achieve personal excellence in academics and athletics. Provide the opportunity to create positive relationships, challenge student-athletes, and foster a culture of excellence within all programs. Provide a “relationship-centered” environment that eliminates roadblocks, distractions, and concerns within each program. Individual Programs: We must help provide the individual programs the resources to ensure our success. Coaches need to have public support from the athletic department to prevent distractions and concerns. We must work with the coaches to ensure that the feeder programs are being developed and keeping the interest of potential student-athletes. We must commit financial resources to the programs that will benefit the performance for both coaches and student-athletes. We must commit to providing the best possible facilities we are capable of and maintaining them properly to ensure a positive experience. We must commit to developing an athletic training program that increases strength, athleticism, and works to prevent injuries for student-athletes. Fiscal Responsibility: By creating a department that is fiscally responsible, we allow ourselves to provide coaches and student-athletes with the necessary resources to enhance their individual programs. We must be willing to give coaches access to reasonable funding that ensures they are getting the needs of their program covered. We must be willing to stretch our finances to provide our coaches and student-athletes with the necessary staff to rehabilitate and improve the overall health of our programs. We must be willing to implement new ways of generating funds that will benefit the programs in our athletic department. Communication: We must communicate our vision and the responsibilities within each program. We must make our department an inviting and exciting place that encourages community participation and support. We must keep in communication with the Leadership of the school corporation on the vision and direction of the athletic department. We must utilize our technological and social resources to communicate the success and excitement of our programs. Organization: We must create a flawless organizational plan that enables us to be successful in all of our other pillars of success. We must provide our office staff with the technological resources to organize scheduling, student-athlete paperwork, contest reminders, contracts, and financial statements. We must be willing to implement new technological techniques that closely track spending, facility usage, travel schedules, inventory, and roster distribution. We must provide an organized environment that enables our patrons, staff, and opponents the resources necessary to have a great experience when dealing with our office. We must provide an environment that is able to function and allow for time to deal with the demands of contest set-up, supervision, and tear-down. Involvement and Participation: We must provide an atmosphere that the students at Rossville are eager to participate in. We must work energetically with the coaching staff of our programs to encourage multi-sport athletes. We must create department policies that encourage student-athletes to be recognized for participation in multiple sports. We must vigorously develop policies that help struggling student athletes in the classroom and help provide classroom direction. We must create student leadership development that develops our student-athletes into program leaders and encourages energy and excitement for all programs. We must develop promotions for non-participating students and the entire community to get involved in activities. We must plan events that energize the community about the direction and vision of our athletic department and school. Department Development: We must be committed to excellence in all facets of our department. We must continually find ways to develop the coaches and student athletes. We must provide coaches with ample opportunities to grow in their craft. We must develop a science in our scheduling that enhances our experiences and opportunities for success. We must move our athletic department to a position that is integral in the overall philosophy of Rossville Consolidated Schools.